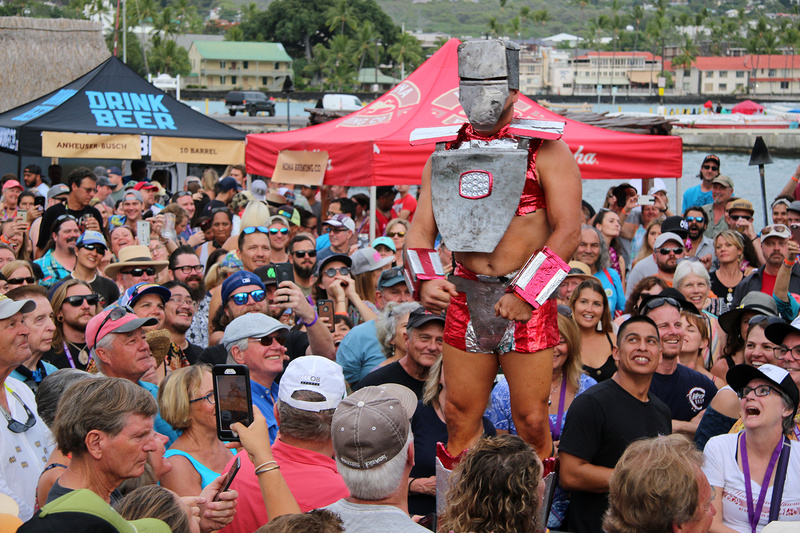 The 24th annual Kona Brewers Festival took place Saturday, March 9, on the beautiful and historic grounds of the King Kamehmeha Kona Beach Hotel in Kailua Kona Village. The weather did not disappoint. 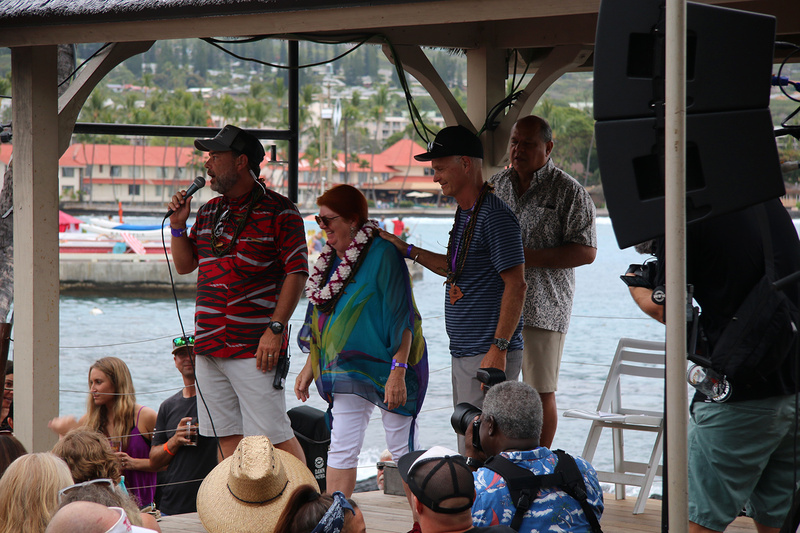 The annual gathering began as a birthday celebration for the Kona Brewing Company and money raised from the party went to local charities. 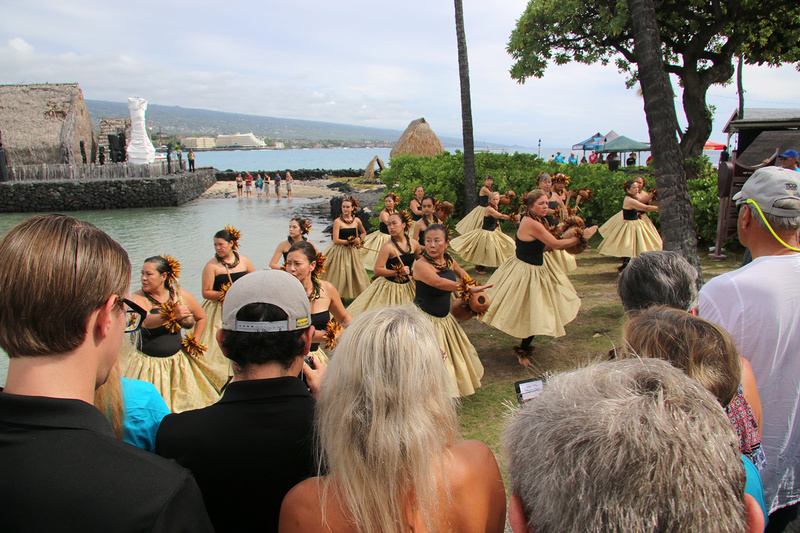 Understandably, mainland brewers wanted to share their beers with the Kona clan and a visit to the island in early March seemed most appealing. 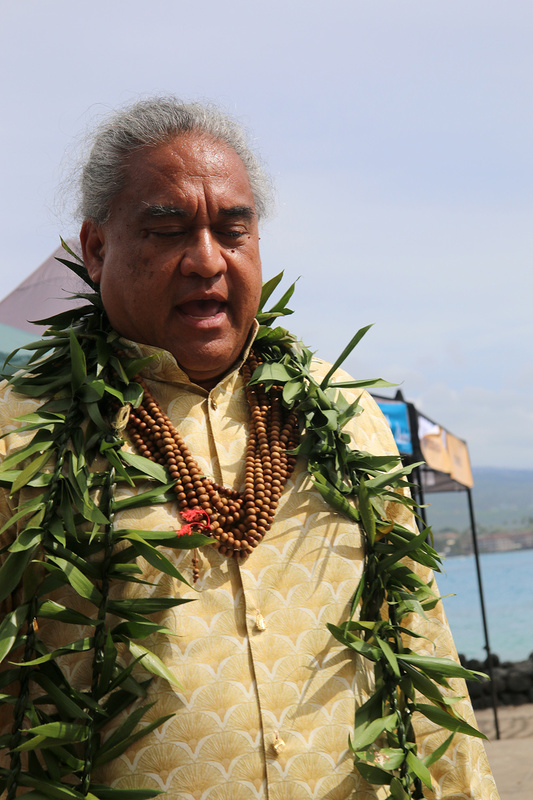 Thus, the Kona Brewers Festival was born. Some of the early breweries continue to participate to this day accompanied by some newer breweries with great reputations like Breakside and Gigantic breweries from Portland and Revision (Sparks, Nev.) and Urban Roots (Sacramento). The beer lineup continues to be impressive and diverse. 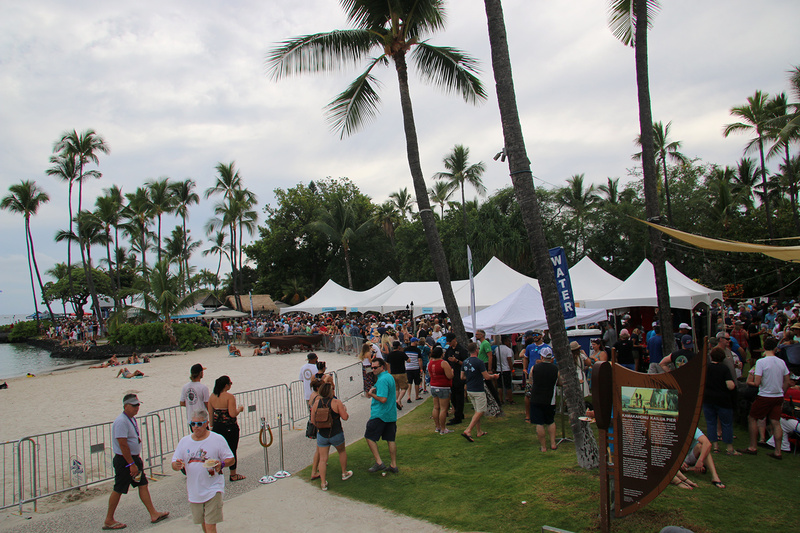 A total of 45 well-curated breweries were on site for this edition of the now classic festival. 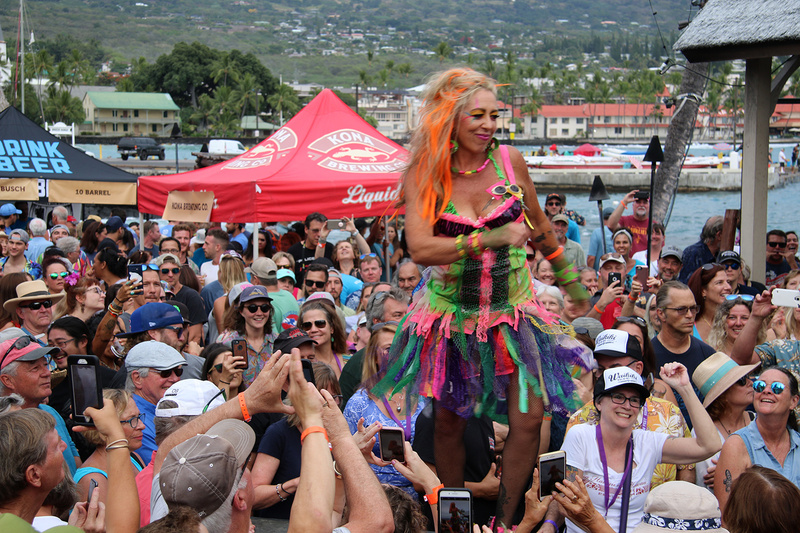 Local breweries included Kona (of course), Aloha Beer Company, Big Island Brewhaus, Hawai’i Nui, Honolulu Beer Works, Kohola Brewery, Lanikai Brewing Company, Maui Brewing, Mehana Brewing Co., Ola Brewing and the Waikiki Brewing Company. This beer-drenched reporter was particularly delighted to taste the fine products of stateside beer stars such as Breakside Brewery from Portland, Eel River Brewing from Fortuna, Calif, Firestone Walker from Paso Robles, Calif., Gigantic Brewing from Portland, exotic Jolly Pumpkin Artisan Ales from Michigan, Ninkasi Brewing from Eugene, Ore, Revision Brewing from Sparks, Nev., old favorite Seabright Brewery in Santa Cruz, Calif., the always popular Sierra Nevada from Chico and the now nearly two year old Urban Roots Brewery from Sacramento. 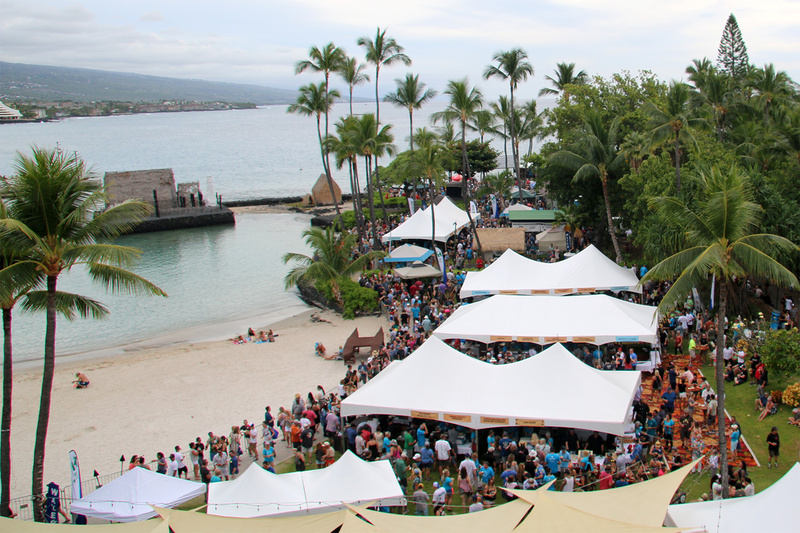 The festival grounds, nestled between the bay on one side, the hotel on the other, and the spacious and lush grounds of the late Paul Allen’s Kona home, provided an opulent yet very Kona setting for the gathering booths with wonderfully selected beers and restaurants offering enticing bites to accompany those beers. 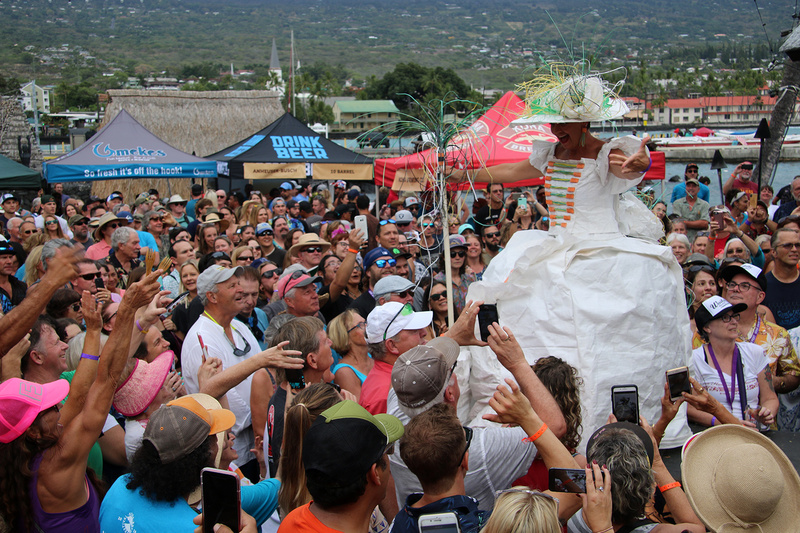 Some of the food vendors included Conscous Culture Café, Don the Beachcomber, Four Seasons Resort, Hamakua Macadamia Nut Company, Hapuna Beach Hotel, Honu’s, Kona Coffee Company, Mauna Kea Beach Hotel, Tropic Ale House/Tap House, Umekes Fish Market Bar & Grill and WikiFresh. 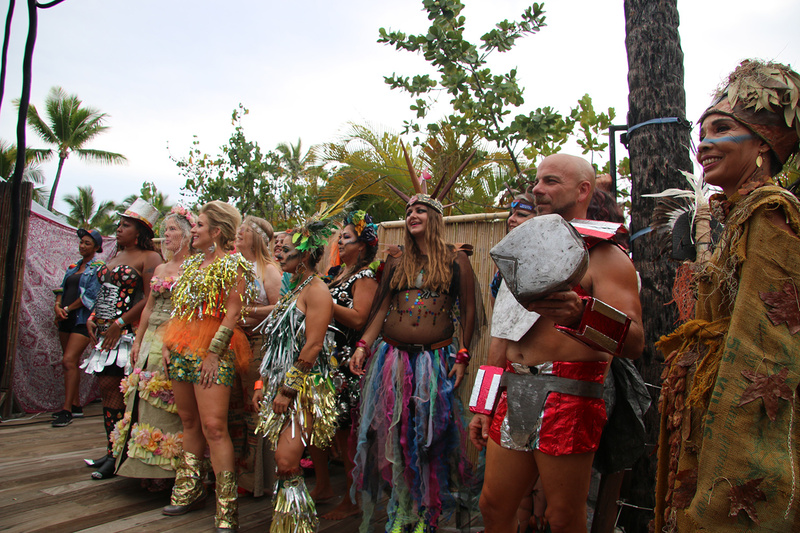 For $100 more you could get into the VIP area and start an hour earlier with even more exotic food and beers being served. 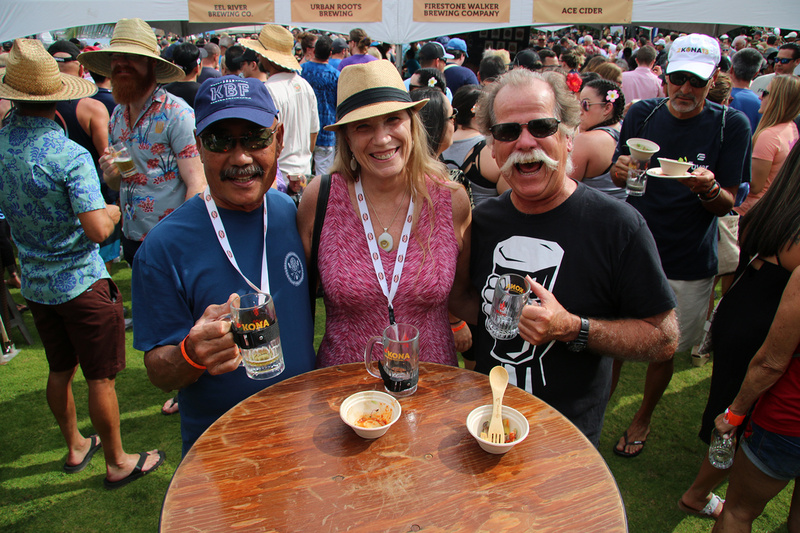 The upgraded ticket allowed access into the Connoisseurs Lounge inside Honu’s restaurant, serving additional and premium tastes and activities for the most serious craft beer aficionados. Otherwise, your $85 ticket got you 37 food and 45 brewer booth to enjoy. 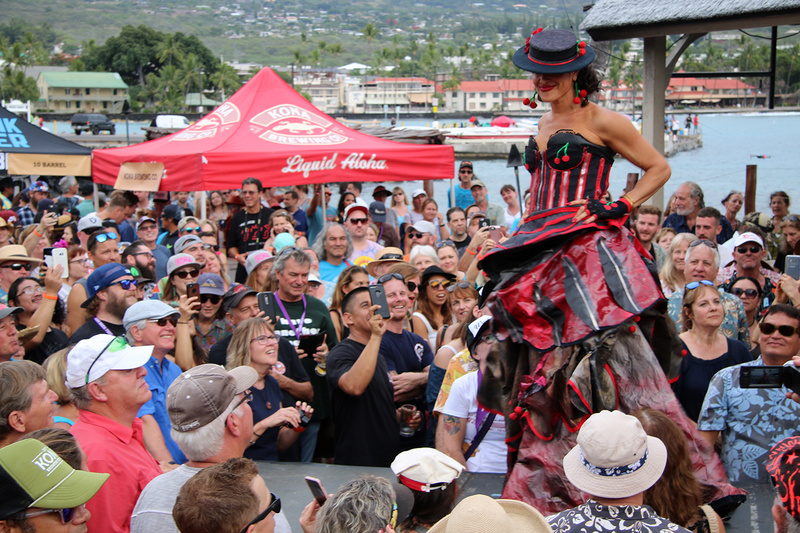 The festival is situated right on Ali’i Drive in the Kailua Village so attendees can find lodging anywhere and be walking distance to the fest. 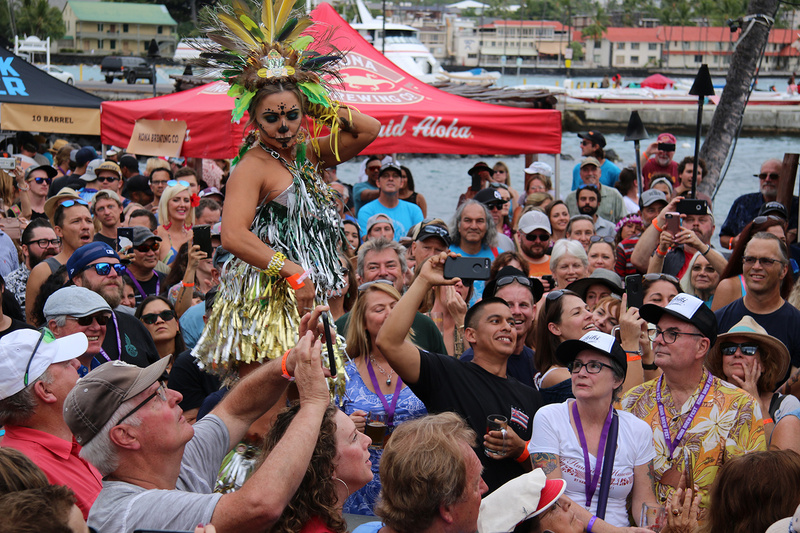 After the fest, many of us repaired to Humpy’s Big Island Alehouse to consider the day’s offerings. 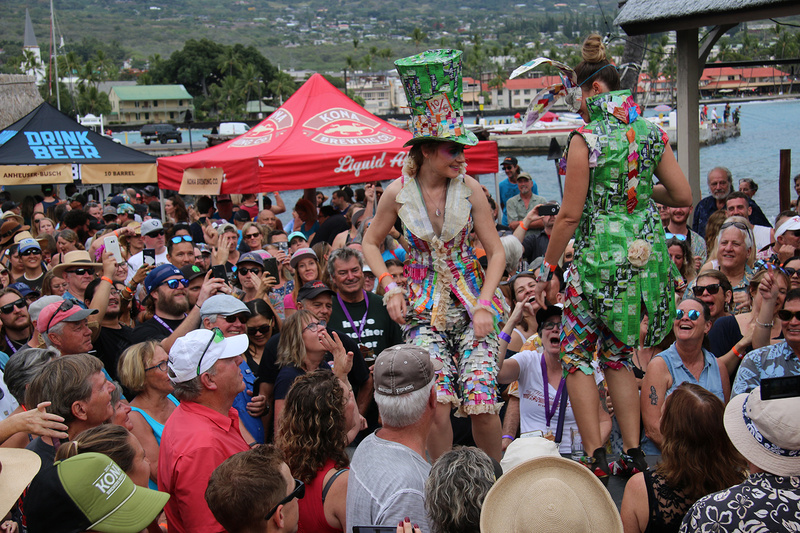 The festival week also includes a Home Brewers Competition and the popular “Run for the Hops” 5K and 10K run/walk. 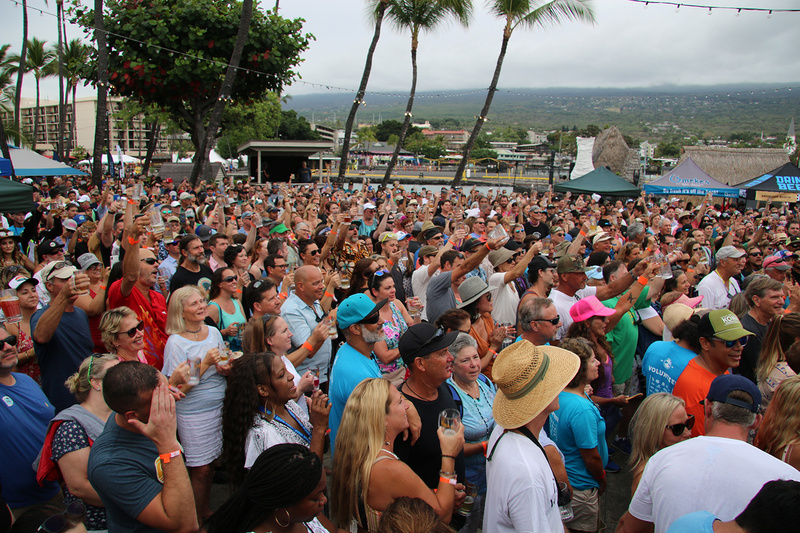 Over the past quarter-century, the Kona Brewers Festival has become one of Hawaii’s premier events and has raised well over a million dollars for Big Island non-profit organizations. 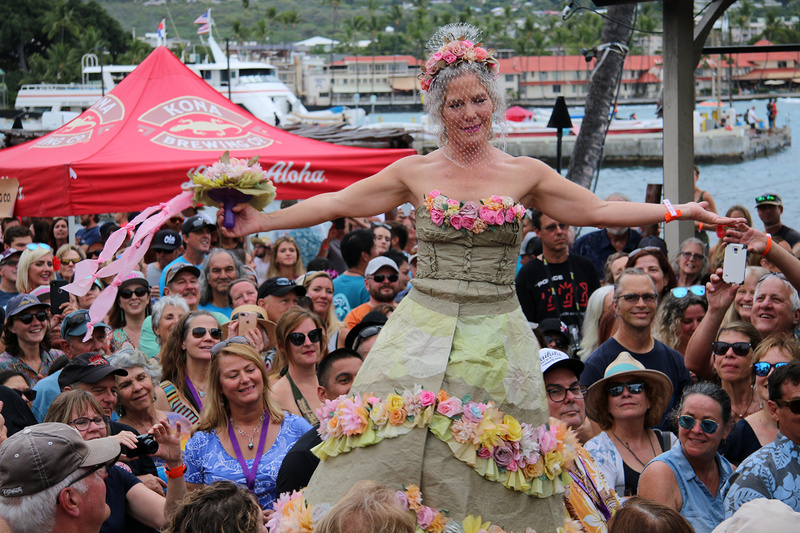 Next year marks the 25th anniversary of this amazing event and will take place Saturday, March 14, 2020. Tickets will go on sale January 11, 2020 and are sure to sell out quickly. Just visit their website here and let the magic happen. I hope to see you there!